Differing pricing exists depending on the package you want. Of course there’s a ton of DLC and a “season pass”. Starts at $19.99. Anthony Vincent is a god. What would happen if 20 bands played Linkin Park’s “In the End” all within 4:15? Cover by Anthony Vincent of Ten Second Songs. As an Independent, I feel this 1964 ad/video eerily nails the current GOP situation. The guy that has created & provided Windows Weekly with a home since its inception is the very reason its becoming an eye-rolling, amateur-hour shitshow. Leo Laporte, the founder & Chief TWiT of the TWiT podcast network, is also the host of the Windows Weekly podcast… and outside of maybe wanting to put his face/voice into what I believe is the network’s 2nd most popular show, you really have to wonder why. 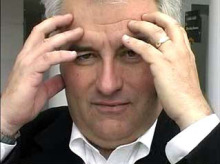 It’s become abundantly obvious that Leo Laporte has no day-to-day in-depth experience with current Microsoft technologies, despite having a radio show in which he provides consumers with technical advice – usually on Microsoft technologies. It’s almost as if he’s been sustaining his diminishing knowledge of Windows, Xbox, and any matters near Redmond through the 2 hour education he gets from Paul Thurrott & Mary Jo Foley… and probably his own IT guy. But the problem is he’s not even bothering to feign interest these days: Phoning it in, he regularly appears to mentally tune out & shows total indifference to the majority of the Microsoft discussion during the podcast unless it’s related to his Xbox One, a laptop he bought online the other day, or something that might give him the opportunity to blame/indict Microsoft for something he believes validates the sentiment that Microsoft is just some crap company. Okay, so the guy wastes airtime on the podcast, right? But as long as he doesn’t get in Paul or Mary Jo’s way and let’s them, y’know, TALK… it’s all good, right? Nope. It turns out that in the past several months, a mindbendingly disrespectful pattern has emerged, where Leo has focused the podcast on discussing non-Microsoft topics he’s interested in AND JUST STAYS ON THEM for long segments of podcast time: iOS & iOS applications. Android & Android applications. Macintosh & Mac applications. Linux & Linux distros. Google announcements. Google acquisitions. Apple announcements. Apple products. 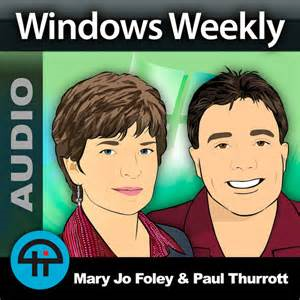 One of the things that has made Windows Weekly interesting has been the “Pardon The Interruption” type discussion where Paul & Mary Jo iterate through a list of topics and weigh in with their opinions at a reasonable clip. But that all goes to holy hell when Leo decides he wants to participate in some non-Microsoft related matter. Take the last podcast: The moment the topic of non-Microsoft phones came up, he practically dominated the conversation and you couldn’t get Leo to quiet down. It’s gotten to the point where as much as 2/3rds of the podcast’s time is taken up by Leo’s rants about anything other than Microsoft-related discussion & Paul/Mary Jo’s forced responses to this stuff or, if we’re lucky, God willing, Paul/Mary Jo’s actual corrections of Leo’s misperceptions. The next time you hear the Windows Weekly podcast “go sideways”, off on some barreling tangent about Samsung’s latest Android phone or an Apple Macintosh update/event/release, listen to who’s very loudly doing the direction of the discussion. I’m sure Paul & Mary Jo have realized this pattern to a great extent but what do you do when someone who is in many respects YOUR EMPLOYER wants to go off on some unnecessary rant about Microsoft or dig deeper about a topic that has nothing to do with why people presumably listen to the podcast. I’ve noticed Paul just “give up” trying to respond to Leo’s ranting at certain points, for what I assume, is an attempt to just “move on”. Every time, you’ll find it’s Leo. Office 365 Home is a 1-year subscription & the whole world is going that way. It’s not in anyway “dishonest” as Paul likes to call it. If you don’t like it, you don’t have to buy Office 365 & can still buy Office 2016 as a productivity suite. but frankly you’re an idiot if you do given the benefit of Office 365 Home. HoloLens’ visible frame is perfectly useful for the designs that it’s being applied to in either a professional or a gaming capacity. No one I’ve worked with has considered it “unacceptable” or “dishonest” as the very jaded Paul likes to call it. Kinect works & millions enjoy using it. It doesn’t lack responsiveness nor is it a “failure”. Just because Paul Thurrott likes to call it useless because he can’t personally find any scenario for it outside of its omnidirectional microphone, doesn’t mean that it hasn’t been an amazing peripheral for gaming – children’s gaming in particular. (Ask any parent that’s loaded up Kinect Party for their kids)It’s certainly not the success that Microsoft would like it to be but it’s technology far from useless. Paul’s really not the reason the podcast goes off the tracks down into non-Microsoft ditch. He might say something annoyingly narcissistic, focusing on his personal interests, instead of a broader perspective, but it’s rarely something that wastes a whopping 20 minutes of the podcast on a non-Microsoft topic. It’s simple. Get Father Robert Ballecer of “This Week in Enterprise Tech” to host the podcast. He’s professional, he’s hosted the podcast before, and he’s got SERIOUS technical chops. He’s likeable & he doesn’t have an uncontrollable, insanely annoying unconscious bias against Microsoft or Windows. That’s the end of these ratholes & sideshows… and it keeps the podcast on the TWiT network just like Leo wants it. Help us, Father Ballecer. You’re our only hope. I think I should clarify something that I realized I didn’t mention: I’m not blind to the requirements of what I’m asking for. I’m fully aware that introducing Father Robert Ballecer into the podcast as the host would result in additional financial overhead for Leo & the TWiT Network. People’s services – like those of the talented & knowledgeable Padre – don’t come free. But while I’m sure the TWiT Network’s margins are thin… probably very thin… I would hope that the attractiveness to a growing audience of adding an expert host to the WW cast while freeing up Leo to develop or grow other podcasts on the network that he IS passionate about, would make the expenditure worthwhile – or at least worthy of a pilot, because Leo’s passion is clearly not with Microsoft which is the core of Windows Weekly. Can’t someone at least run the numbers on something like this? Project what the change would do to the revenue brought in from the show? Believe it or not: I ask for this financial impact question because I suspect Leo MIGHT ACTUALLY DO IT and run the numbers. Let’s be clear: Despite my distaste for Leo’s offtopic ratholes during Windows Weekly, I’m not a “Leo Hater” like some of the folks I’ve read on the Internet. To the contrary, I truly have great respect for his pioneering business development of a well-established podcast network. While I may have reservations about other matters he’s associated with, his establishment of what appears to be (I don’t know his financials so I can’t be sure) a successful and profitable podcast network earns and deserves one’s respect. After all, who else can say they’ve done that from the ground up? 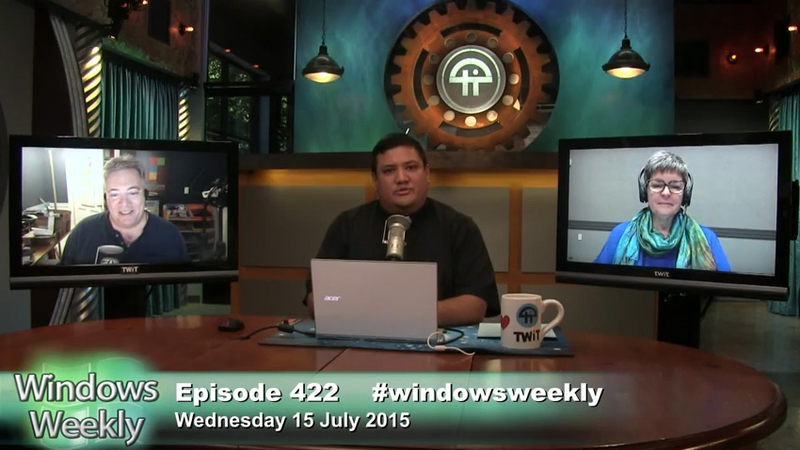 Bluntly, I just wish he’d move on from Windows Weekly. You are currently browsing the Kurt's Thoughts blog archives for March, 2016.